THIS YEAR is the 100th anniversary of Albert Einstein’s theory of general relativity, so what better time than to describe its intricacies here in 600 words. In the magazine’s Special Section introduction titled “Einstein’s Vision,” Margaret Moerchen and Robert Coontz observe how general relativity governs the universe on its largest scale, just as quantum theory describes its smallest scale. 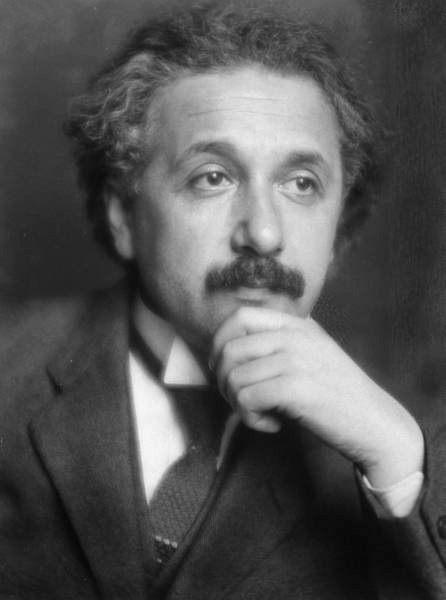 Albert Einstein, 1879 – 1955, German-born theoretical physicist, 1921 Nobelist in Physics. An animated toon from Science, March 6, 2015, sets the stage with the main point of general relativity: Gravity can be described as a warpage of spacetime, of our four-dimensional universe, caused by the objects in it. Gravity as a warpage of spacetime. 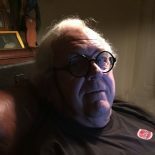 Image by User:Johnstone. Newtonian physics works fine in a straightforward mechanistic world. Force equaling mass times acceleration, F = MA, is still a useful concept for many things. However, it’s not good at explaining extremes, the subtleties of minute electromagnetics or immense astronomical phenomena, occurring at or near the speed of light. As described in the Science Special Section, World War I had its effect on emerging physics. As one example, German astronomer Erwin Freundlich led an expedition to the Crimea to study a total solar eclipse (this, to observe the behavior of planet Mercury). Alas, the celestial event occurred in August 1914. Russian officials detained the scientists and seized their equipment. In 1915, physicist Karl Schwarzschild corresponded with Einstein about an implication of spacetime curvature: the theoretical possibility of black holes. Unfortunately, at the time Schwarzschild was also serving as a German artillery officer on the Russian front. Not long afterward, he succumbed to disease. As observed in Science, “General relativity mostly reveals itself on cosmological scales, but its effects also show up closer to home—even in our pockets.” Ubiquitous GPS devices profit from general relativity theory. One of the theory’s oddest implications is time dialation: In warped portions of the spacetime continuum (that is, in gravitational fields), time slows down. Scientists confirmed time dialation in 1959 through an experiment using a 75-ft tower with a source of light of a known frequency at the tower’s bottom and a detector at its top. A measured difference in frequency agreed with general relativity theory. Note, this has nothing to do with malfunctioning timepieces or lags in signal transmission. It is a fundamental characteristic of spacetime and its warpage. A GPS receiver’s location (green) is the intersection of three spheres. (The fourth satellite gives time.) Image from http://xenon.colorado.edu. 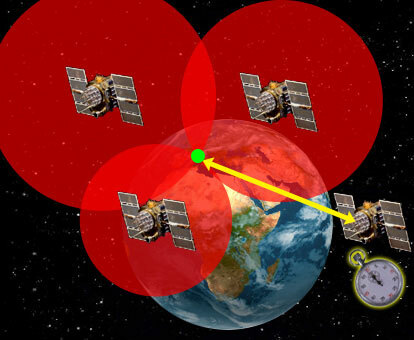 Briefly, GPS works by trilateration, by calculating distances between the Earth-bound device and selected satellites. These distances are based on signal transmission times of precisely synched clocks in orbit and on Earth. Without general relativity, errors arising from time dialation would make these calculations worthless. 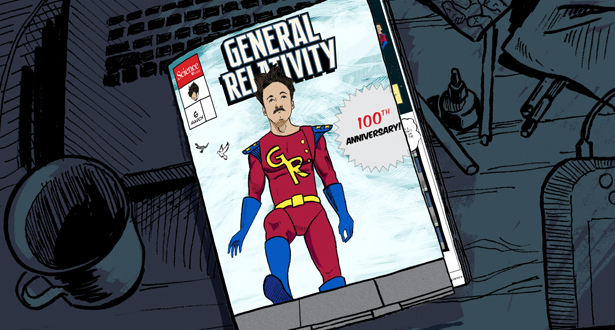 This entry was posted on March 27, 2015 by simanaitissays in Sci-Tech and tagged 100th anniversary of general relativity, AAAS Science magazine, Einstein's theory of general relativity.